If you have a news story or would like to inform the membership of an upcoming event please email info@torontotriathlonclub.org. We would love to hear from you and share your story with the rest of our members. Buying or selling, this is the sale to be at for bikes and tri gear! Trii Gear and Bike Swap takes place at Leaside Memorial Gardens, 1073 Millwood Road, Toronto, ON M4G 1X6 on Saturday, February 23rd from 9am – 12noon. Got something to sell? Register your items for sale from bikes to wetsuits to shoes and clothing. Anything for swim, bike or run is fair game! Looking to buy? Come and check out the selection of tri gear and bikes with the convenience of one-stop shopping and payment and safety check handled by Enduro Sport. Free admission and free parking! • Enduro Sport staff will be on hand to help buyers with advice and general information about the items for sale. • Items are being sold on consignment and as-is. No discounting is possible and all sales are final. • Payment can be made by Visa, Mastercard, debit or cash. HST will be charged on all sales. • All bikes buyers will receive a discount coupon for a subsequent tune-up. • Please do not call for item information. We will not know what will be for sale in advance. Show up early for the best selection. • All items must be registered with Enduro Sport prior to sale. • Registration will take place right up until the Friday before the Swap at Enduro Sport Leaside. • There will be no day-of registration or item drop-off. • Registration is $1 per item (non-refundable) and photo ID is required at the time of registration. • The selling price you indicate should be your "best price" and cannot be changed once registered. For bicycles, you can get a useful estimate from bicyclebluebook.com, but remember that you need to price your bike to move. 2) 100% of the selling price (before HST) as an Enduro Sport gift card. • All sales to buyers are conditional until Monday at 6pm on the items being as described and in satisfactory condition. Enduro Sport will be the final arbiter of any such claims. • Cheques will be mailed to the address on your photo ID the week after the swap. • Unsold items should be picked up within 10 days from Enduro Sport Leaside. • We will call you once your items have been processed and your cheque or gift card is ready. Miranda Tomenson will be the new head coach for the Toronto Triathlon Club. This is a new position intended to facilitate further development of the training opportunities the club has to offer. Miranda will be working with the Business Manager, Training Director and other coaches to grow and improve TTC training programs, clinics and camps. Miranda brings 18 years of coaching experience to the position, including 3 years with the club. She has a real passion for the sport of triathlon and the club and she looks forward to her new role. Kathryn Handford came to the world of events through her love of organization, planning and sports. Beginning in the sports world and then branching into charitable organizations and the corporate world has given her an overwhelming amount of event experience encompassing logistics, marketing, sponsorship, planning and execution. 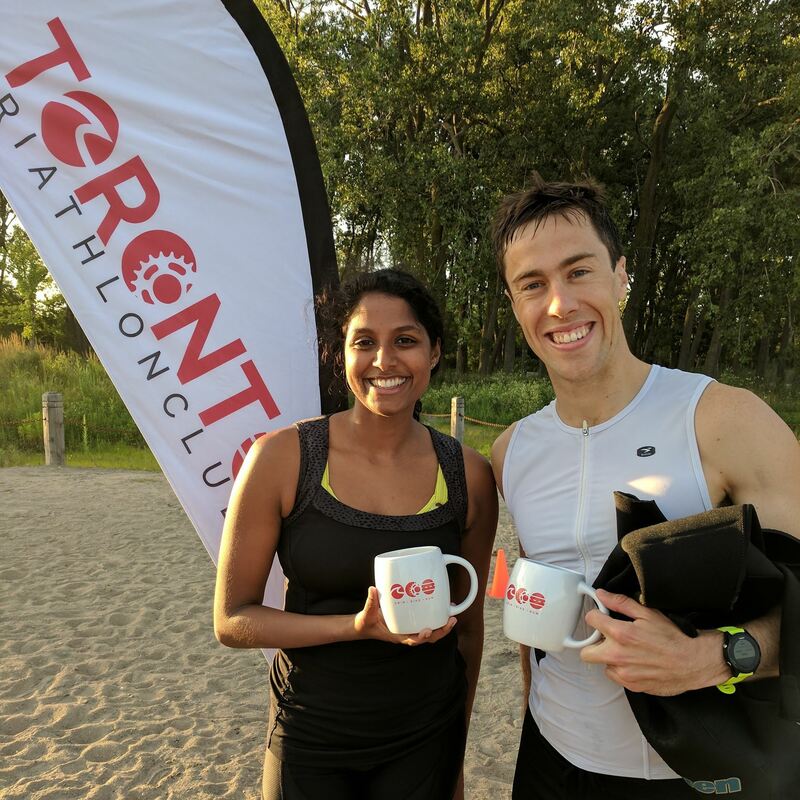 Her role as Business Manager within the Toronto Triathlon Club involves the administration, coordination and successful execution of training and triathlon related activities for the Club. The management of these activities entails liaising with sponsors, club coaches and subject matter experts to offer relevant, innovative and cost-effective opportunities for Club members. 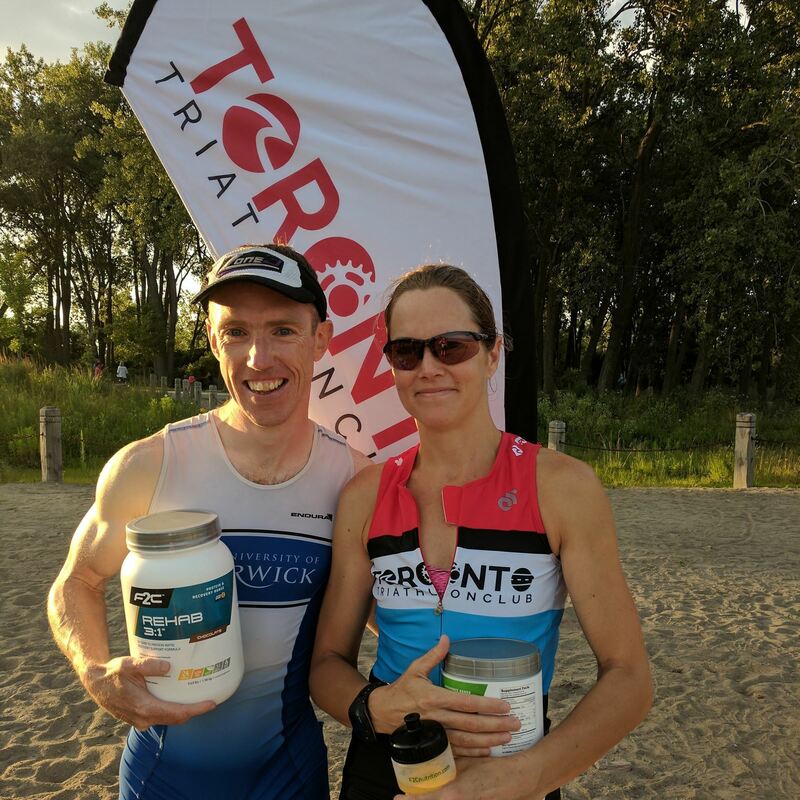 As well, Kathryn has completed 6 Ironmans and 9 marathons but is looking forward to doing her first Olympic distance event with the Toronto Triathlon Club. As of September 1st, 2018, TTC will begin adding HST, which is 13% in Ontario, to all club memberships, training sessions, clinics and other events that have a cost involved. If you have any questions, please email our Executive Director, Allen Davidov. Come cheer on our teams Saturday July 21st, 8:30am start. We've changed our vendor and the new kit is ready for you to order. The store will be open until May 16th at 8pm. Order now and your kit is expected to arrive by late June. Contact Kelly at Marketing@torontotriathlonclub.org for more info. Thank you to all those that attended the Annual General Meeting last Tuesday. Thank you to our outgoing board members and volunteers for their dedicated service. Please welcome our new 2018 Board of Directors! You can read more about our board members here. Thank you to everyone who participated and volunteered at our final Splash n Dash event on August 30th! Congratulations to our Splash n Dash series winners! 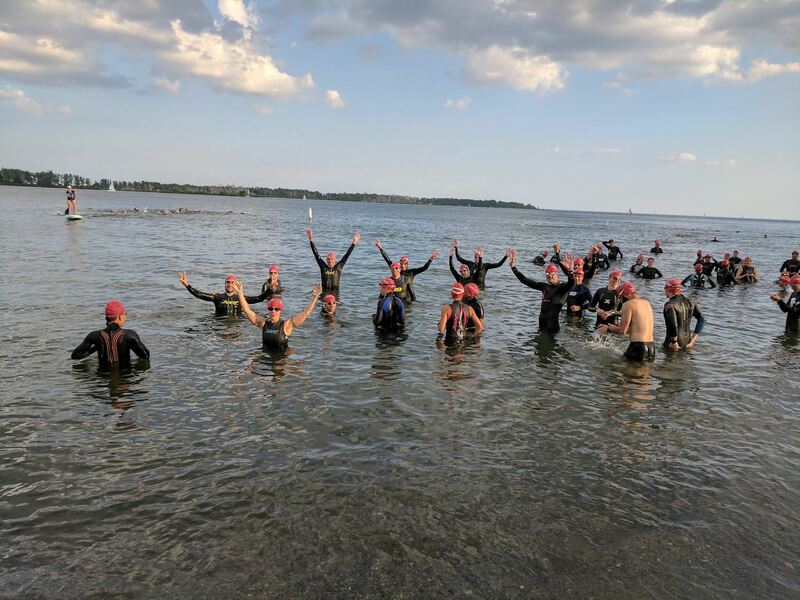 Thanks to everyone who participated in and volunteered for the first Toronto Triathlon Club Splash 'N Dash event in Aug 9th at Cherry Beach. 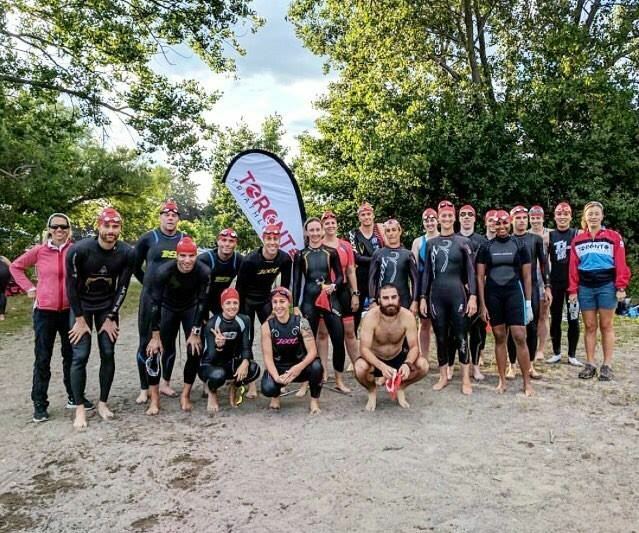 Thanks to everyone who participated in and volunteered for the first Toronto Triathlon Club Splash 'N Dash event in July 19th at Cherry Beach. Our weekly Wednesday coached OWS sessions are back and they are one of the TTCs premium benefits to our members. We had over 50 athletes out last week! Now that OWS season is here, we have a few rules and guidelines to help make the evening run smoothly with so many participants. 1. Sign up. We require you to sign up weekly to secure your spot and to make our check in process more efficient. If you arrive at the beach and you have not signed up online we will not be able to check you in until we have checked in all others. 2. Arrive Early. It takes time to put on your wetsuit and get changed and checked in. Arriving at 6:25pm will delay your entry to the water and you’ll likely miss some key instructions from the coach. You will be given your TTC OWS latex swim cap on July 12th. Please bring it with you each week for practice. If you do not attend on July 12th please see the volunteer or coach at check in to receive one. Please only take one swim cap over the course of the season. 3. Check In. Please find the volunteer coordinator for check-in on the lake-side of the change station at Cherry Beach. Check-in will commence by 6:15pm on most days. Please be patient. There is only one volunteer and many of you. We need to know who enters the water as part of our insurance plan. 4. See Coach by 6:30pm. After checking in with the volunteer, please proceed to the beach, west side of the lifeguard station to see Miranda and our group leader for pre-swim instructions and review of the workout. Each week Coach Miranda will be working on a different skill set. For a complete list of skills that will be covered visit https://www.torontotriathlonclub.org/page-1570799. If you arrive late, please wait until Miranda had given all the instructions and the practice has started before asking what you missed. 5. Be Respectful. There are a few other groups at Cherry Beach on Wednesday nights which results in a lot of people and sometimes some confusion. We are all there to train and have fun, so please follow the rules. 6. Splash N Dash events. Lastly on July 12, Aug 9 and Aug 30th, TTC is running a series of timed Splash N Dash (Swim/Run event). If you want to participate please sign up on the website. Volunteers are always welcome.